Celebrate World Bartender Day with Training! The 24th of February may seem like just another day on the calendar, but it is also known as World Bartender Day! World Bartender Day is a day meant to recognize the hard work, patience, and great service bartenders provide to us. It isn’t a job for the faint of heart or the short of temper. In honor of this day, OpenSesame is highlighting a few of our bartending-related courses for you! Feeling left out of the appreciation? Become a bartender yourself! 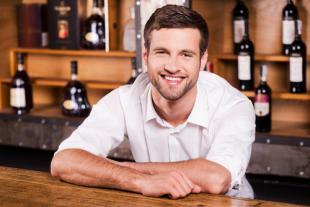 If you have patience, a love of mixing drinks, and great interpersonal skills, bartending could be a good career move. Even if you don’t want to work as a bartender, these skills can make you popular with your friends! Learn everything you need to know from correct drink measurements to their various nicknames. Little may you realize that in order to be a great bartender, you must have a wealth of knowledge on the subject of bartending, serving, and bar procedures. Even if you’re already a bartender, you can still learn a few things, and this course on The Bartender is a great place to learn a few tips on conversing with customers and how to interact with other members of the bar staff. Whether or not you’re a bartender, knowing how to deal with intoxicated people is a very important skill. Learn how to recognize when someone has had too much to drink and acquire some great tips on how to cut them off from having any more, without causing backlash or losing their patronage. Cutting someone off isn’t easy, and it isn’t usually fun, but knowing how to do it well can save a lot of trouble. Despite generally being a place to go get a beer or a mixed drink, bars serve a whole array of alcoholic beverages, including wine. If you’re new to the bartending industry, you may want to brush up on your wine knowledge with the Introduction to Wine training course, as knowing enough about wine to offer a customer a recommendation is a very beneficial skill to have. Learn about the different types of wine and the various colors, smells, and tastes of each one so you can share this knowledge with your wine-loving customers. Every state has its own unique laws in regards to the selling and serving of alcohol, so whether or not you are or want to become a bartender, reviewing a course on the laws pertaining specifically to your state is never a bad idea.